Inspector John Rebus has messed up badly this time, so badly that he's been sent to a kind of reform school for damaged cops. While there among the last-chancers known as "resurrection men," he joins a covert mission to gain evidence of a drug heist orchestrated by three of his classmates. But the group has been assigned an unsolved murder that may have resulted from Rebus's own mistake. Now Rebus can't determine if he's been set up for a fall or if his disgraced classmates are as ruthless as he suspects. When Detective Sergeant Siobhan Clarke discovers that her investigation of an art dealer's murder is tied to Rebus's inquiry, the two-protÈgÈ and mentor-join forces. Soon they find themselves in the midst of an even bigger scandal than they had imagined-a plot with conspirators in every corner of Scotland and deadly implications about their colleagues. 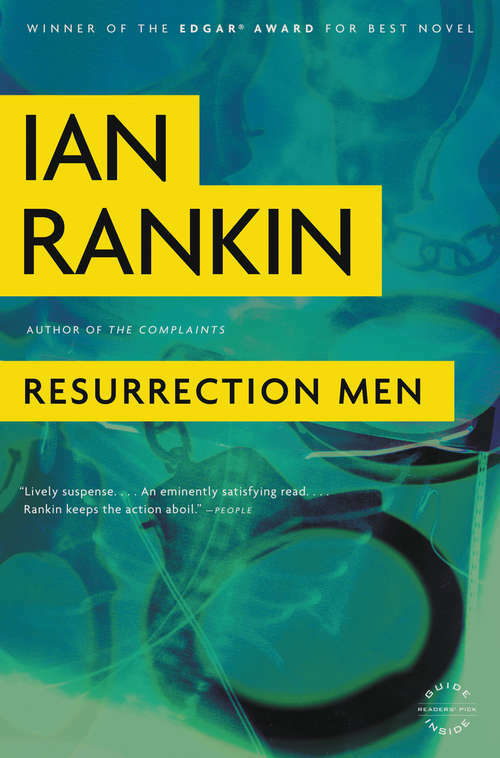 With the brilliant eye for character and place that earned him the name "the Dickens of Edinburgh," Ian Rankin delivers a page-turning novel of intricate suspense.